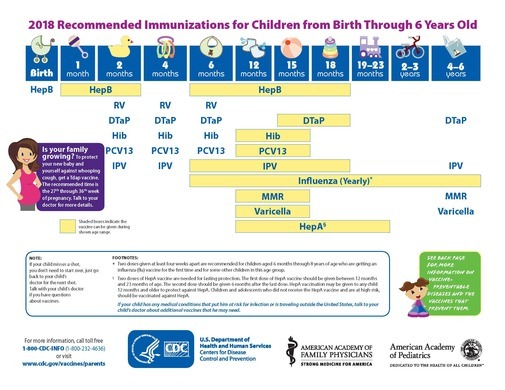 The Beatrice Community Hospital and Health Center Immunization Clinic provides immunizations for infants, children and youth up to the age of 19 as well as adults. The full regimen of required childhood immunizations is offered. Appointments are necessary. Call 402-223-2366. Families must bring their insurance or Medicaid card to their appointment. The clinic is located at 1110 Jackson St., Beatrice. 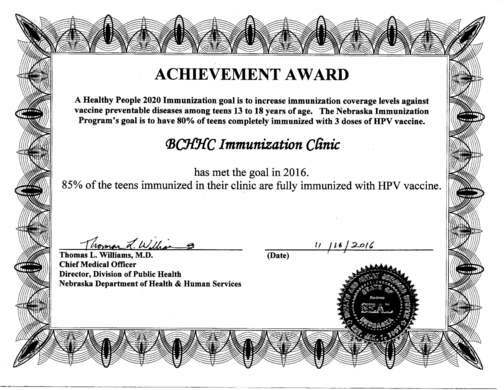 Congratulations to the Immunization Clinic Team for earning two Achievement Awards for 2016 from the Nebraska Department of Health & Human Services. 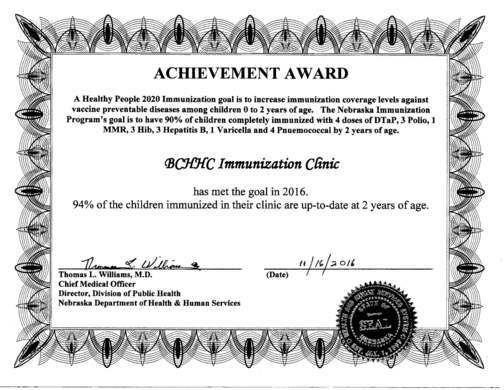 The awards were based on Healthy People 2020 Immunization goals.